We did it! Trusted Places has returned as a Smart Lock option. Smart Lock, a feature that lets Android users specify conditions under which their devices will unlock without requiring the usual fingerprint, PIN, or pattern authentication, now has one less use case. Trusted Places could previously set a phone or tablet to remain unlocked when it was in a (well) trusted place, like at home, but that option seems to have disappeared. 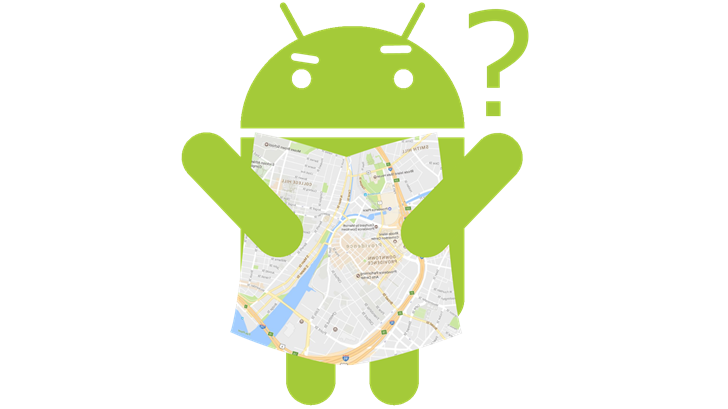 Google said it was investigating wonky Trusted Places behavior last April, and the following month, said inconsistencies would be fixed in an upcoming version of Play Services. Apparently they still haven't been able to iron out all the kinks. The Smart Lock screen, still sporting Nexus colors. 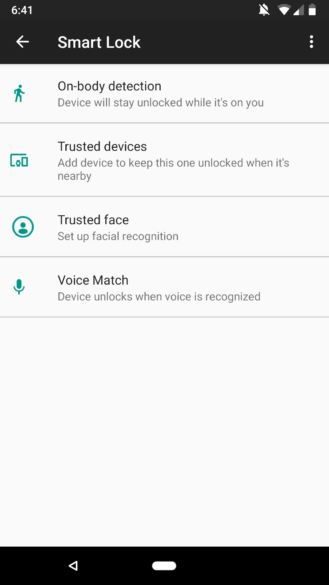 The removal of Trusted Places leaves four smart lock options: on-body detection, which keeps a device unlocked until it's set down; trusted devices, which unlocks your phone when it's in range of specified Bluetooth connections; trusted face, Android's built-in facial recognition; and Voice Match, for unlocking a device when it recognizes your unique voice. When it worked, Trusted Places was the most hassle-free Smart Lock option. Hopefully the feature is sorted out and brought back soon.